Recreate the biggest battles and missions in Star Wars with this role-play toyfrom The Black Series! 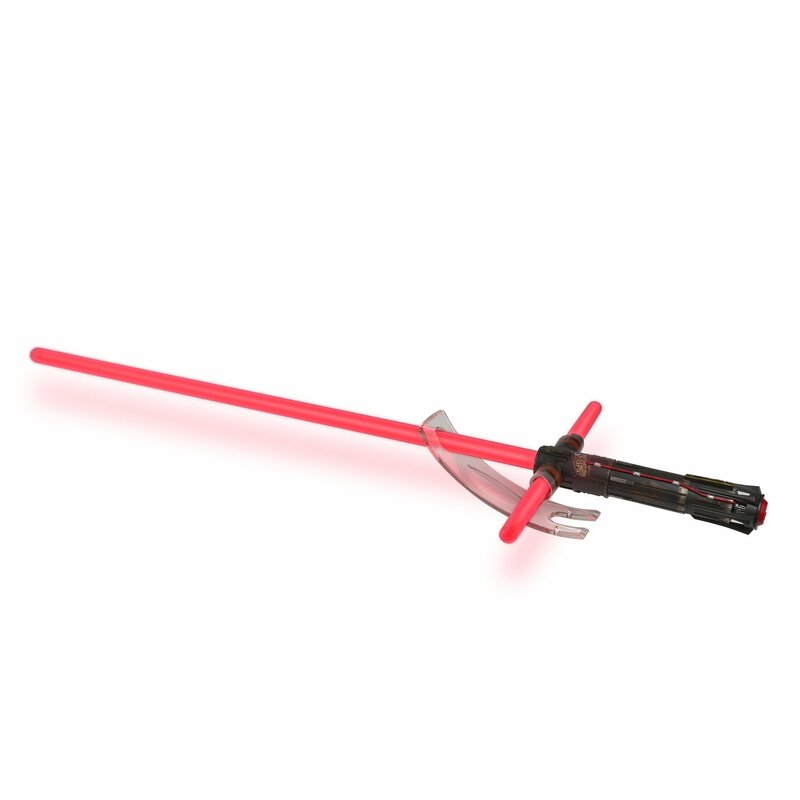 This series brings exquisite features and decoration,providing the quality and realism needed by every true devotee of Star Wars.Feel like the real Kylo Ren with this Force FX Lightsaber, featuring classiclight and sound effects, and real metal hilt. A dark warrior strong with theForce, Kylo Ren commands First Order missions with a temper as fiery as hisunconventional lightsaber. Imagine the thrill of a heated battle. Enhance thecollections of serious fans with this and other significant figures andvehicles from Star Wars. Each sold separately. Star Wars products are producedby Hasbro under license from Lucasfilm Ltd. Hasbro and all related terms aretrademarks of Hasbro.